Easy to open, not messy, pouch keeps food fresh and my cat keeps coming back for more. She loves it. Easy to store away. Highly recommend it to any cat lover that wants the best for their pet. 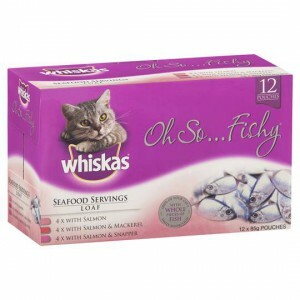 How would you rate Whiskas Adult Cat Food Oh So Fishy Seafood Servings?